A small-town marshal who hasn't carried a gun since he left the Texas Rangers after a tragic shooting must pick up his gun again to do battle with a gang of outlaw bikers that has invaded the town to pull off a brazen and violent heist. Preview screening of this film #ebertfest 2016. This film was just finished and according to co-director Stephen Apkon, the film was completed at this time, because Chaz Ebert asked to see it to host it at Ebertfest 2016. Apkon's co-director and the film's cinematographer, Andrew Young, echoed the film's amazing point: many of the people in countries at war often don't have the hate for each other, that is the fodder for the media feeding frenzy, and political leaders who gain power from conflict and death. 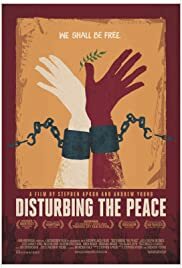 On a purely factual level there's not a lot new in this documentary about striving for a just peace on both sides in Israel/Palestine – even for an interested lay person who follows the news with any focus. But that doesn't keep the film from being both extremely important and deeply moving. Seeing these men and women who had been filled with hate, ready to kill or die for their 'side', but who now fight for peace and understanding brings back memories of Gandhi, Martin Luther King and others who understood that we are all human, that we all grieve our dead and that our shared humanities are far more important than our differences. 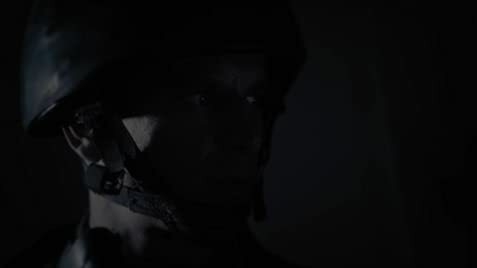 We get to know elite Israeli soldiers who risk the hatred and contempt of their countrymen by refusing to fight in the occupied territories after witnessing the death and destruction they've caused. They refuse to be occupiers. On the other side we meet Palestinians like the woman who was inches away from becoming a suicide bomber before coming to understand that the people she would kill would leave behind grieving mothers no different than those she sees all around her in Palestine. She refuses to be a terrorist. And in these many stories of saying 'no' to violence, hate and death, 'yes' to kindness, empathy and working together towards understanding the film provides a tremendously powerful sense of hope – not only for this troubled region, but for the human species as a whole.